Sublime Frequencies presents the second volume in a three volume set of contemporary field recordings by Hisham Mayet recorded in Burkina Faso during three expeditions from 2013-2015. Volume 2 spotlights Mossi, Bissa, Bwaba, Fulani and Samo music. 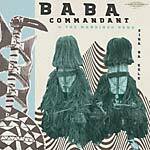 On side one, riveting string instruments such as the Mossi and Bissa koundé accompany gnarled, primal vocal epics extolling the virtues of kings and the common man. On side two, the otherworldly sounds of the thianhou (reed zither) and the lolongo (bow-shaped mouth harp) levitate the listener into a blissful trance. Includes performances by Ibrahim from Bittou, Souleyman Zoungrena, Yehou Téré Sedou Baba, Bomberi Willoho, Yaro Labairi, and Kousoule Lalara. 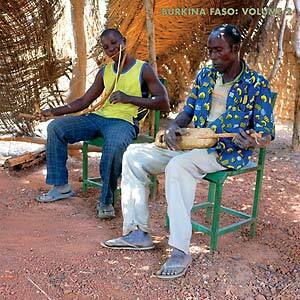 Comes with a full-color insert of liner notes and a map of Burkina Faso. Edition of 400.